On international flights , if your flight is delayed and you booked a COLLECTIVE shuttle on arrival to Antigua or anywhere else , YOU ARE LOOSING YOUR SPOT on the shuttle and the shuttle will be gone WITHOUT US ABLE TO RE-IMBURSE you . We strongly recommend you to buy PRIVATE shuttle on international or national arrival ! 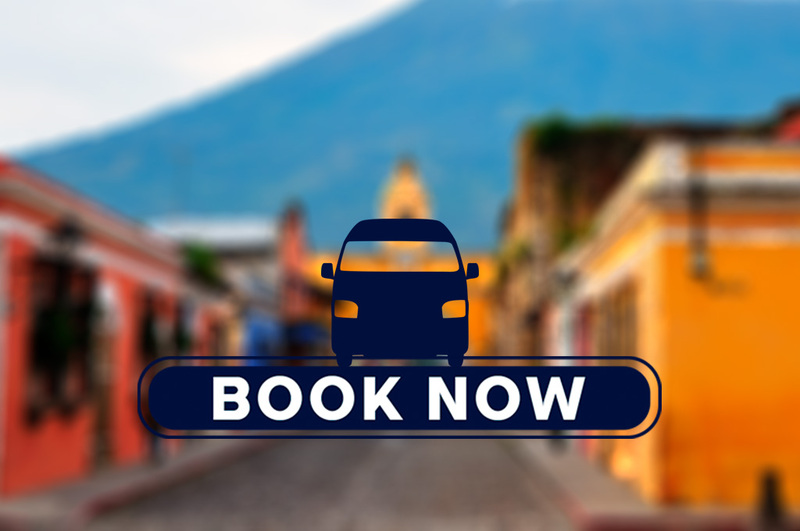 Pick up or drop off in the city of Guatemala only zone 1, 9, 10, 13 and international airport La Aurora / for other places please ask for private service OR a taxi service to one of this places .